11 July 2018 on the feast day St. Benedict, Abbot, the Secondary Patron of our Congregation and Father of our Rule was an auspicious day for the Region of India. 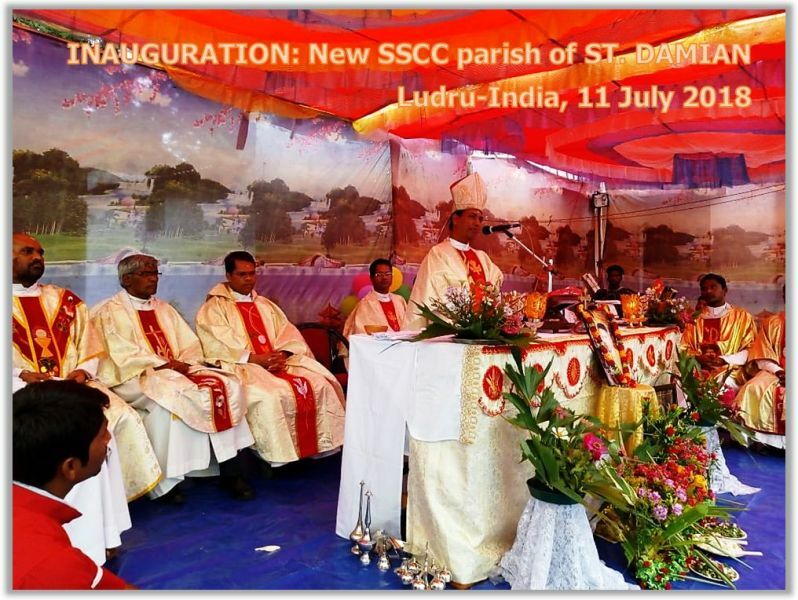 We inaugurated our own sscc parish in the diocese of Berhampur, Odisha, India. The parish was bifurcated from its mother parish Mohana and is named after our Hero and Brother St. Damien. Rt. Rev. 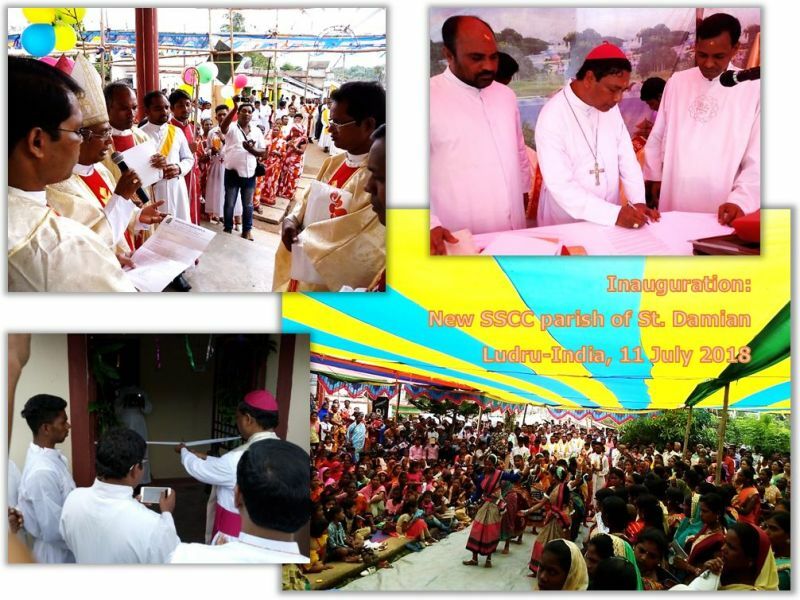 Dr. Sarat Chandra Nayak, the Bishop of Berhampur was present for the ceremony of creating the new parish, blessing the rectory and presiding over the liturgy. Fr. Subal Nayak sscc began the pastoral ministry in Mohana in June 2016 soon after our Regional Assembly. He initiated the construction of the rectory and cater to the pastoral need of the people of that group of villages. The New parish comprises 10 villages with the population of 900 people. It was a day of great joy and jubilation for the parishioners of the new parish, who came in great number to witness the historical moment of their faith life. Fr. Subal Francis Nayak, sscc, who has been installed as the new parish priest, is excited about the new mission that came to fruition after years of toiling. We thank you all for your constant support in terms of finance and prayer.